Lorelei Decena, an American, attended medical school at St. Christopher's College of Medicine in Senegal, West Africa. After completing the program in 2004, she returned to the United States only to learn that St. Christopher's was not an accredited medical school and that she was not eligible to take the medical board exams in many states. Decena financed her medical studies with a series of loans totaling $161,592, which she took out from Citizens Bank, which is headquartered in Rhode Island. She made loan payments from 2006 until 2011, but she quit making payments when she returned to school to obtain a masters' degree. In 2015, Decena filed a "no asset" Chapter 7 bankruptcy petition and later filed an adversary complaint to discharge her student loans with Citizens Bank. Citizens Bank failed to answer her complaint and the court clerk entered a default. At a hearing to get a default judgment entered against Citizens, an attorney appeared to represent the bank. Citizens' attorney argued that the default should be set aside on the ground that Decena had sent her lawsuit by regular mail rather than certified mail. The bankruptcy court rejected this argument, reasonably pointing out that Citizens obviously had notice of Decena's lawsuit because it had sent a lawyer to defend the bank's interests. The court then considered whether Decena had a legitimate ground for discharging her student-loan debt in bankruptcy. Interestingly, Decena did not argue that it would be an undue hardship for her to pay back the loans--the position taken by most student-loan debtors in bankruptcy. Rather she maintained that the loan was not the kind education loan debt that was covered by the undue hardship exception. The court agreed with her. In essence, the court ruled that a private loan to attend an unaccredited, unlicensed medical school is not the kind of loan that can be excepted from discharge in bankruptcy under the undue hardship rule. Nor was it a "qualified education loan" that came under the undue hardship exception. Key to the court's decision was its finding that St. Christopher's College of Medicine was not listed in the Federal Schools Code during the year Decena completed her studies. Thus, the court ruled, Decena "established a prima facie case that St. Christopher's is not an 'eligible educational institution,'" entitled to benefit from the Bankruptcy Code's undue hardship rule. 1. Don't enroll in an unlicensed, unaccredited African medical school if you want to practice medicine in the United States. Perhaps Lorelei Decena should have investigated St. Christopher's a little more thoroughly before borrowing money to study there. 2. If you are a bank, don't lend money to someone to study medicine in Africa unless the institution the debtor will attend is on the Federal Schools Code list. Citizens Bank was apparently under the impression that its loans to Decena could not be easily discharged in bankruptcy, but the bank was wrong. 3. If you are an African medical school that seeks to enroll American students, you should make sure your institution is listed in the Federal Schools Code. In fact, St. Christopher's lapse in this regard is puzzling. Over 500 foreign institutions are listed on the Federal Schools Code, making them eligible to participate in the U.S. student loan program, including more than two dozen foreign medical schools. Why didn't St. Christopher's do whatever it had to do to get its name on that list? 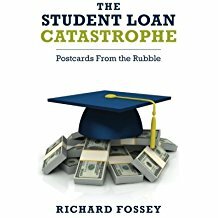 This case illustrates the global expanse of the federal student loan program, which allows Americans to borrow money to attend colleges all over the world (although not St. Christopher's in Senegal). We are a wealthy nation of more than 300 million people. You would think we could manage medical education in such a way that no one would need to borrow money in order to study medicine in a foreign country. Graduates of St. Christopher Iba Mar Diop College of Medicine may practice medicine in the United States through the Educational Commission for Foreign Medical Graduates (ECFMG). It is important that future students intending on practicing medicine in the United States obtain licensing information direct from the appropriate state agencies. This information can be obtained from the Federal State Medical Boards (FSMB). Students are expected to have a thorough understanding of medical licensure laws in their state or states of intended practice before applying. Many states have specific rules and requirements beyond the medical school curriculum and applicants are urged to make specific inquiries into what these are before making a commitment to the College. Resuscitate: to bring (someone who is unconscious, not breathing, or close to death) back to a conscious or active state again. Two sectors of the higher education are under extreme stress: for-profit institutions and small liberal arts colleges. In both sectors, schools are closing or downsizing at an accelerating rate. In the last two weeks alone, Dowling College and St. Catharine College announced they are closing. Grace University, an interdenominational school in Nebraska, is raising tuition and cutting salaries to deal with financial problems; and for-profit Brown Mackie College announced that it is closing 22 of its 26 campuses over the next few years and will not accept any new students. These failing colleges and universities are the educational equivalent of terminally ill patients. They see death approaching, but they deal with their mortality in different ways. Some failing colleges shut down in an orderly fashion and make arrangements for their current students to complete their programs at other institutions. Others refuse to accept the inevitable and search desperately for a survival strategy. For example, Sweet Briar College in Virginia announced it was closing more than a year ago, but new leadership and some moneyed alumni rushed in to keep it open. But this year, Sweet Briar only enrolled 24 freshmen. Likewise, although Dowling College announced its closure, it is now trying to partner with Global University Systems, "an educational investment firm" that has multiple partnerships with universities in England, Canada and the U.S. Personally, I can't see how this new relationship will have any bearing on Dowling's future. In my view, all these faltering for-profits and struggling private colleges should close their doors with dignity once they have explored all reasonable strategies for remaining viable Most of them are on life support--existing from month to month on infusions of student-loan money. It is irresponsible for failing institutions to continue recruiting students when trustees and administrators know these students will be going into debt to obtain an education from a college that will be closing in the very near future. They tell the story in England of a British politician who dreamt he was addressing the House of Lords. When he awakened, he found that indeed he was! Today I read the Review section in the Sunday Times and the Opinion section of my local newspaper. I had the feeling all the political pundits are asleep or that they're living in the 1980s. In the Times, Timothy Egan wrote a rambling and largely incoherent essay about Bernie Sanders. Egan said Bernie's plan for a free college education and universal health care "are no more thought out than a bumper sticker." Egan's observations are so false as to be almost libelous. Sanders' health care plan and his higher-education proposal are quite sound, and both are less expensive and more egalitarian than Obamacare and our federal student-loan nightmare. In my local paper, George Will dismissed the rise of Trump and Sanders as "political silliness," and lumped them both with the simplistic socialist politicians of Great Britain. Will derided supporters of both candidates, calling them Trumpkins and Sandernistas. Some write from a conservative perspective and some call themselves liberals, but almost all of them share one thing in common--their columns appear under photographs of themselves that are about 20 years out of date. Indeed all these people are from another era--from a time when the oligarchs had Americans convinced that our politicians were aligned into two political parties based on political principles. But of course we all know now that the Democratic-Republican divide was a charade--just a puppet show to amuse the rubes while politicians on both sides of the aisle lined their own pockets. But the saps woke up. Some threw their support behind Trump, and some went to Sanders. Now the media elites are hysterical, writing mad drivel that cannot be identified by ideology. Froma Harrop insinuates Bernie Sanders is a racist, and Bill O'Reilly ridicules Bernie as doddering Socialist. Or is the other way around? All these people--Froma Harrop, George Will, Timothy Egan, Frank Bruni, Steve and Cokie Roberts, Paul Krugman, Maureen Dowd, etc.--need to wake up and join the 21st century. The peasants are rising, and their fury will not be assuaged by stale prose written by people who come across like eccentric nursing-home inmates writing letters to the local newspaper. I hate to break it to you, George, but Ronald Reagan is dead. After us, the deluge. I care not what happens when I am dead and gone. Just this week, two small colleges announced they are closing: St. Catharine College, a Catholic institution in Kentucky; and Dowling College, a private school on Long Island. Clearly, a lot of small private colleges are in trouble. Last autumn, Moody's Investor Service predicted a sharp increase in the number of college closures, forecasting that 15 would close in 2017. I think Moody's is far too optimistic. By 2017, I think we will see three or four colleges shutting down every month. What's going on? Several things. Small colleges have priced themselves out of their markets. First, many small non-elite colleges have priced themselves out of their markets. Tuition has been rising every year for the past 20 years, and even obscure little colleges now charge students from $30,000 to $35,000 a year, just for tuition. For years, students and their parents passively submitted to yearly tuition hikes; but no more. Mom and Pop aren't willing to pay $100,000 for Suzie or Johnny to get a bachelor's degree from an undistinguished private college. It's true that small private colleges are heavily discounting their tuition--almost 50 percent for first-time freshmen. And it is true that students can take out student loans to pay for their college tuition. But families are not sure whether they will get a tuition discount big enough to fit their budgets or whether they are getting as good a discount as another family gets. They've lost trust in the integrity of the admission process. And young people have finally begun reading the newspapers and are waking up to the fact that student-loan debt can be a financial death sentence for graduates who don't quickly find good jobs. They have become wary about enrolling at a little college named after a saint they've never heard of. Who in the hell is Saint Scholastica anyway? Onerous federal regulations have raised operating costs. So price is a factor. But there is another reason why small colleges are closing. Federal regulation have become too onerous for small schools to manage. They simply cannot afford to comply with ever more burdensome regulations that spew out of the Department of Education. The Department's 2011 "Dear Colleague" letter on sexual harassment triggered a flurry of new college regulations, policies, and training programs to meet DOE's heightened standards for complying with Title IX. DOE's new transgender restroom rules will cost colleges money, and the rules will be a real headache for the little religious colleges that pride themselves on their traditional moral values. Here's an example of how colleges are being subject to more and more federal regulation. Virginia Tech suffered a horrible tragedy when a deranged gunman massacred more than thirty students in 2007. The University was sued for negligence after the incident, but the Virginia Supreme Court ruled that Virginia Tech was not liable under Virginia tort law. But the Department of Education concluded that Virginia Tech violated the Clery Act in the way it alerted students about an ongoing threat and assessed a fine against the University. The fine wasn't large compared to Virginia Tech's overall budget, but the University spent a lot of money defending against DOE's charge, and it will spend even more trying to make sure it does not run afoul of the Clery Act again. Virginia Tech is big enough and rich enough to deal with DOE's mandates, but hundreds of small colleges don't have the resources for dealing with the ever growing complexity of the federal regulatory environment. St. Catharine College is a case in point. It got squeezed by DOE, which held up its federal student aid money based on some technical issue. The college sued but apparently didn't get relief. This week it announced its closure, which it said was triggered by DOE sanctions. Small liberal arts colleges are headed for extinction and there is no way to revive them. Small colleges have implemented all sorts of strategies to keep their enrollments up and maintain their revenues. Many have tried to reinvent themselves by hiring marketing firms to enhance their images and juice their enrollments. By and large, this strategy has failed. Let's face it: hiring a marketing firm to design an edgy college logo or a catchy slogan is no remedy for the massive problems facing the nation's small liberal arts colleges. I don't see any way to revive the small liberal arts college. Their tuition rates are too high, and offering heavy discounts has not lured middle class students into small-college classrooms. Moreover, the Department of Education does not care whether it is regulating small colleges out of business. The DOE minions probably gave each other high fives when they heard St. Catherine is closing its doors. Nor is there any way for colleges to walk away from their total dependence on federal student aid and the federal regulations that come with it. The colleges drank the Kool Aid of federal student-loan money, and their is no antidote. If you are an administrator or a professor at a small college and you are nearing retirement, perhaps you don't care about the demise of liberal arts colleges. As Marquise de Pompadour put it: "After us the deluge. I care not what happens when I am dead and gone." But a young person with a new Ph.D. would be a fool to try to build a career by taking a job at a small liberal arts college.